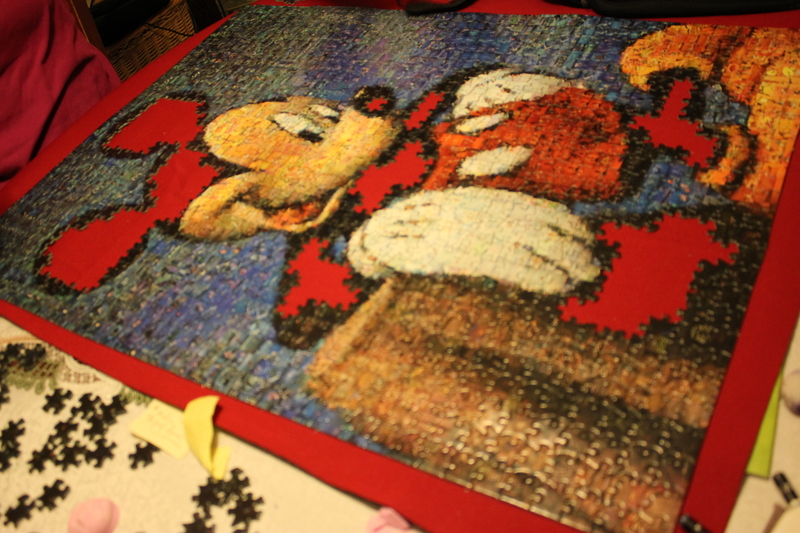 so, as a summer tradition, we started working on a new 1000 piece puzzle a few weeks ago. 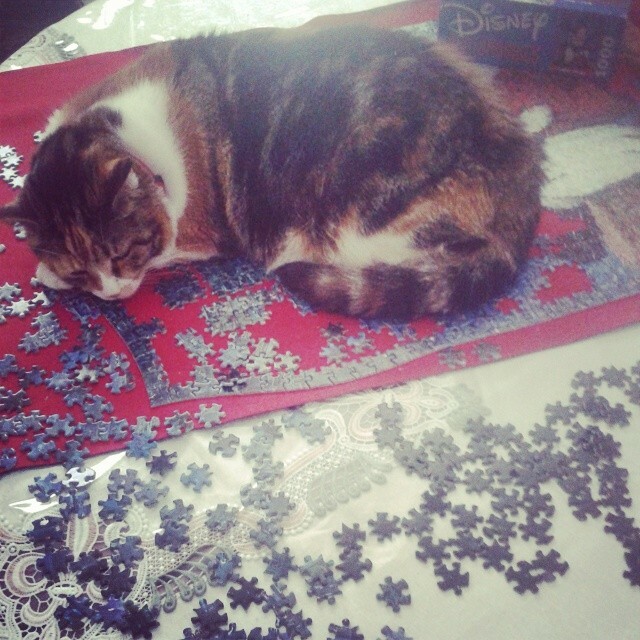 yes, kyoko, our cat, has been helping too. the first few days we made a lot of progress, and then when it came down to doing just the blue background pieces everyone kind of gave up on it, until i started working on it again, but with just one person working on it, and only for about 10 or so minutes every other day, it has been pretty slow. even the one piece needed to finish the nose! xP haha. ← just a bit of summertime magic.